Olafur Eliasson has been preoccupied with colour thoughout his artistic practice. His experiments have included dying a river neon-green, creating rainbows and perhaps most famously, transforming the Turbine Hall of the Tate Modern into a monochrome world of its own, 'lightened up' by an enormous artificial sun. 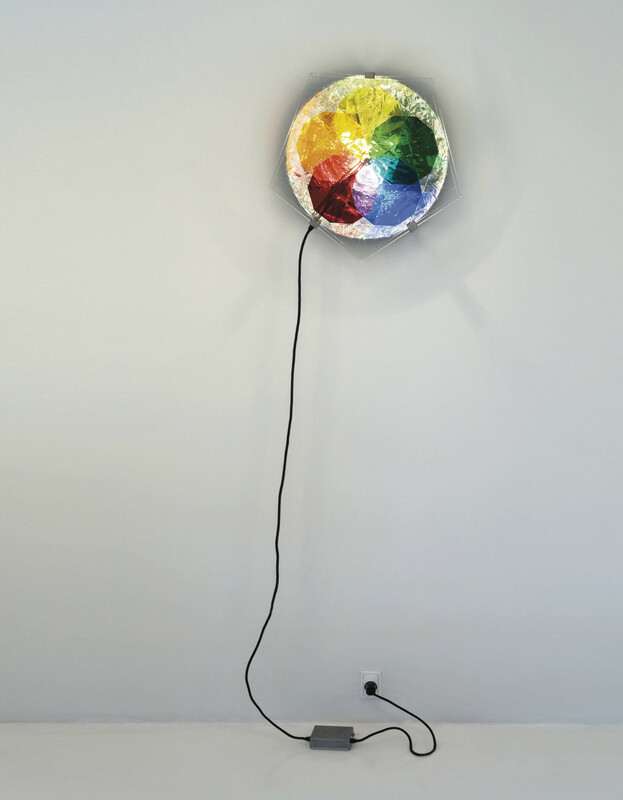 Colour as both tangible and immaterial, as physical and psychological, is not only a central theme in Eliasson's oeuvre but similarly infiltrates many of his writings. Interested in questions of perception and the bridge (or gap) between science and art, his practice continuously engages with the extent to which colour is culturally determined and the extent to which it is a highly individual matter. One of the most prominent and inventive artists of today, Eliasson strives to bridge over between art and science to remind us of the centrality of both. Where his installation in the Tate Modern literally made spectators 'see themselves in a different light,' as all colours were absorbed by the yellow sun, viewing Fivefold Colourwheel and the endless reflections and variations it allows for is an open-ended process, a continuous motion, and not a fixed act of looking, as if looking at a painting.